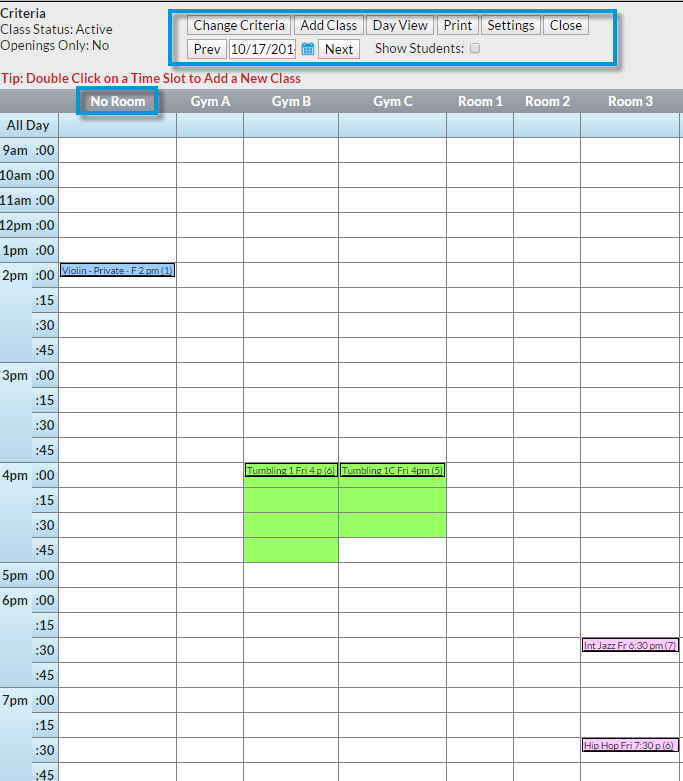 Room View displays a single date's class schedule by room and can be accessed from Classes > Weekly/Daily Calendar > Room View or Classes > Search > Room View. The first column defaults to No Room. Any class not assigned to a room on the date searched will display in this column.